← ‘Post-PC Era’ – Are You Ready? 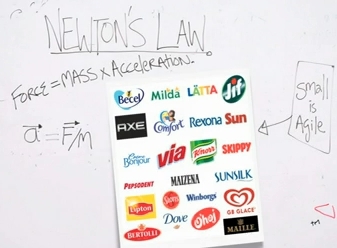 Yes, the physics of your library brand is Newton’s Law, because the public image of “LIBRARY” is stuck in public perception as “BOOKS” – instead of everything else that libraries are becoming – a 21st Century Library requires LOTS of PHYSICS! I recently came across a TED Talk that inspired this recognition of why it is so difficult to move public perception away from the stereotypical image of LIBRARY. Dan Cobley presented What physics taught me about marketing at the TEDGlobal Conference in July 2010. Cobley is a marketing director at Google, where he connects customers and businesses, helping both navigate digital space to find what they need. He’s worked in both the UK and US, but always in marketing, although his first degree from Oxford is in physics. 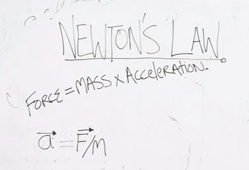 “The force equals mass times acceleration.” … if we rearrange this formula quickly, we can get to acceleration equals force over mass, which means that for a larger particle, a larger mass, it requires more force to change it’s direction. It’s the same with brands. The more massive a brand, the more baggage it has, the more force is needed to change its positioning. … that’s one of the reasons why Arthur Andersen chose to launch Accenture rather than try to persuade the world that Andersen’s could stand for something other than accountancy. It explains why Hoover found it very difficult to persuade the world that it was more than vacuum cleaners, and why companies like Unilever and P&G keep brands separate, like Oreo and Pringles and Dove rather than having one giant parent brand. Libraries are not as well organized to survive as the “Conestoga Wagon Company”. This example of being more business-like in my Post of 11-10-10 explained how this company was able to re-invent itself by recognizing that it was in the transportation business, not just the wagon making business. The Studebaker Corporation survived the transition to automobile manufacturing, and the Great Depression, but competition from Ford and General Motors proved too costly. Studebaker struggled for decades to survive and made many automobiles as a small manufacturer, even dabbling in aviation – another form of transportation – but eventually it could not survive. How can the library re-invent itself and change its brand to survive in the 21st Century technology and information marketplace? How can we apply physics to library marketing in order to move the library’s position in the marketplace? The LIBRARY brand must change. It is no longer BOOKS. Libraries need to actively market their changes to cause a change of perception among library customers – and the public in general – to be competitive in the marketplace. Until the ancient library stereotypes are replaced with 21st Century symbols of a new library, libraries will be hard pressed to answer and thus eliminate the question “Why do we need libraries?”. Two recent articles provide emphasis for the point of changing the LIBRARY image, just by changing the name and redefining the priorities to address community needs. Another article emphasizes the importance of detaching the term LIBRARY from the physical building.